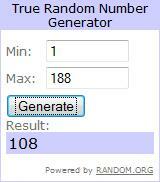 Congrats to Twee Poppets, comment #108, on winning our BlackSocks giveaway! Mommy doesn't have a lot of time to help me update right now, so this is going to be a very short update. Mommy is now 19 weeks pregnant, so the doctors start measuring me from crown to feet instead of crown to rump! I'm now about 10 inches from head to toe and weigh about a 1/2 lb (8 oz). Mommy's feeling me kick a lot now, so she knows when I'm awake and moving around. She's even felt me kicking on the outside since she likes to rest her hands on her belly. That's all for now...will update more later!